The D.C. shop will focus on lawmakers and the Capitol Hill community as it handles strategic communications and government relations for the network. 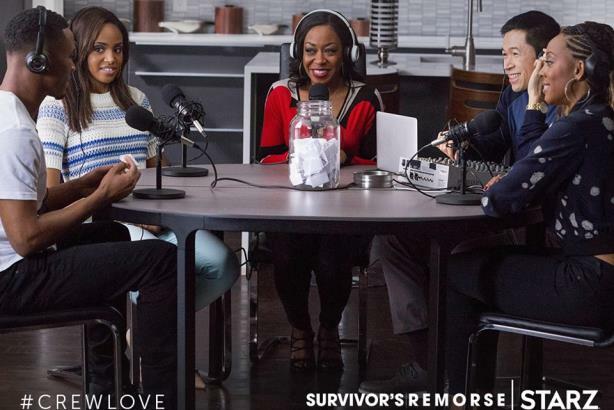 A still from 'Survivor's Remorse on Starz. (Image via the network's Facebook page). BEVERLY HILLS, CA: Starz has hired Washington, D.C.-based Glover Park Group to handle its government relations and strategic communications. Gregg Rothschild, MD in Glover Park’s government affairs division, and Robert Harris, a director in the government affairs division will lead work the Starz account, according to a spokesperson from the firm. Glover Park will lobby on behalf of Starz and promote the company’s brand to DC stakeholders. The agency will target lawmakers and the policymaker community, such as Capitol Hill staffers, the spokesperson added. The firm is focusing on promoting Starz as a provider of diverse programming by singling out two new shows, Power and Survivor’s Remorse, both of which target the black community. There was no incumbent agency on the account; budget information was not disclosed. The contract is open-ended. Glover Park, a strategic communications and government affairs firm founded in 2001 and acquired by WPP a decade later, has clients such as UnitedHealth Group, JP Morgan Chase, and PhRMA. Starz was acquired by movie studio Lionsgate at the end of June for $4.4 billion. Starz saw a 4% drop in revenue in the second quarter, missing Wall Street’s expectations, despite hitting a record number of subscribers, bringing its total to more than 24 million.